High Pile carpet, what is it? Where should I install High Pile carpet? 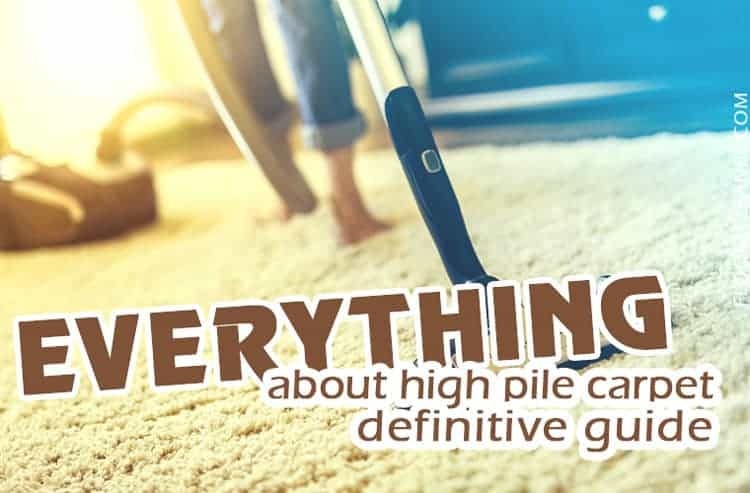 To truly understand what high pile carpet is, you have to first be clear on carpet pile. Pile may sound that an extremely fancy term, but it just refers to the length of the fibers that make up your carpet. There are three standard pile lengths: low, medium, and high. Low pile stands less than a ¼-inch high and it has tight loops. You will often find low pile carpet on decks or in mud room, since it is easy to clean. You may also find a low pile carpet in a well-used rom like a dining room because it makes moving furniture easier than other lengths of piles. You may be asking, “do I have low pile carpet”? The best way to answer this is to rub your hand over your carpet. If you hand sinks in at all, you do not have low pile carpet. Medium pile carpets are the most common in the United States and has a fiber length of ¼ to ½ inch. If you choose your carpet without knowing anything about carpet piles, it is likely that you purchased a medium pile carpet. This type of pile has pros and cons that land in the middle of low and high piles. For example, medium pile carpets are harder to clean than low pile carpets but stay much cleaner than high pile carpets. High pile carpets, the focus of today’s article, have the longest lengths of fibers, anything 1/2 of an inch or up. In general, most high pile carpet fiber lengths will fall between ½ and ¾ inch. But, carpets with piles over ¾ inch can be found, think shag rugs. High pile carpets are harder to keep clean because of the long fibers, which tend to attract dust and grime. They also need specialized cleaning appliances. But, they are the softest and most luxurious of any of the carpet piles. Because pile refers only to the length of the carpet’s fibers, every other factor is open. So, high pile carpets have to have a pile of at least ½ inch, but they can be made of any material, design, or loop type. There are many different types of materials that can make up a high pile carpet. The most common are wool or some synthetic material—like nylon, polyester, or olefin. These materials each come with their own pros and cons. However, no matter the material you choose, you can always find it in a high pile carpet. High pile carpets come in many different designs, sizes, and shapes. The most common designs you will see are either solid colors or a geometric pattern. But, really, high pile carpets come in a plethora of designs. All you have to do is conduct a little research and you will find the design that is right for you. Finally, there are two basic loop types for every carpet, cut and loop. All carpets start life as a loop pile, since the fibers are loop through the backing to make the product. If the loops are left intact, that carpet has a loop pile. But, more often the loops have their tops cut off, which creates cut pile carpets. Cut pile is more common among all carpet pile lengths. Yet, you can still find both cut and loop style high pile carpets. Most of the historic carpets that come to us from the ancient world are low pile. These were easier to make by hand and allowed for a great variety in color and style. The one exception to this rule is the shag carpet. Shag carpets, or rugs, came from ancient Greece and were called Flokati rugs. These rugs were hand-woven out of natural materials like wool and where of the cut pile variety. As the years progressed Flokati rugs began being mass produced and in the 1960s they first made their way to the United States. Today’s shag rugs have a lot of variability but are still characterized by being an extremely high pile carpet. While shag rugs are what people think of when they hear of high pile carpets, they really reside on just one side of the spectrum. Modern high pile carpets come in many different shapes and sizes, and this is because our current manufacturing process allows for a lot of variation in the length of high pile carpet fibers. High pile carpet is not for everyone. It has some significant pros and cons that need to be considered before you make the leap and purchase it. It is long, soft, and luxurious. Often, high pile carpets are more expensive than their lower pile counterparts. So, if you want to show off a fancy or high-style room, high pile carpets are the way to go. They are warm. Because the fibers are long in high pile carpet, they retain heat. Plus, many are long enough to envelope your entire foot, which will keep them warming in the cold months of the year. The fibers don’t flatten over time. While this may seem contradictory, it is true. High pile carpets tend to flatten out less over time then their lower pile counterparts. They are hard to keep clean. The longer fibers of high pile carpets attract and then trap dust and dirt. The fibers can also make it harder for you to properly clean up a stain or spill. This means that you will have to clean a high pile carpet more frequently and thoroughly than other types of carpet. They require special appliances to clean them. This is especially true for vacuums, since they are your first line of defense against dirty carpets. When you have high pile carpet, you need to have a vacuum that is not too powerful and that can be raised and pushed across the carpet. There are now actually vacuums for high pile carpet that should be used in order to protect your carpet from snagging. They can trap allergens. Just like dirt and dust, high pile carpets tend to attract allergens in their long fibers. This can be a deal breaker for families who have members with intense allergies or asthma. High pile carpet would technically work anywhere in your home. However, the long fibers of the carpet make it is a better fit for some rooms than others. When you are deciding where to put your high pile carpet there are a few things to keep in mind. These include the amount of furniture your plan on using in the room, how much traffic it gets, and the room’s overall style. As anyone who has had carpet before knows, the amount of furniture in a room greatly determines the type of carpet that goes in that room. This is especially true for furniture that moves. In general, high pile carpet is not a great fit for rooms that include a lot of furniture. It makes it harder for furniture to move and heavy furniture can mat it quickly. The amount of traffic that a room receives will further determine whether or not you choose high pile carpet. High traffic locations, like entranceways, mud rooms, or play rooms, are not a good idea for high pile carpets, as it can add a lot of extra dirt to the dirt-prone carpet. Finally, you should always consider the overall style of the room before adding high pile carpet. This type of carpet definitely makes a statement, especially if you are using shag or another type of extremely long pile. So, you will need to ensure that the style of carpet, including high pile carpet, matches the look of the room that you want. As mentioned above, high pile carpet can be made from any carpet material. These include the usual as well as highly unusual materials like leather. The most common high pile carpet materials that you will run into are wool and the synthetics (nylon, polyester, olefin). Wool is the only natural material on this list. It is what all carpet were originally made from and is still extremely popular today. Wool is an expensive material and comes with its own cleaning considerations. These issues get exacerbated when it is turned into a high pile carpet. So, be sure to do your research before you go with wool. Nylon is the most popular synthetic carpet material. It is soft, stain-resistant, and durable. Plus, it can be cleaned easier and with a high pile carpet vacuum. Nylon is less expensive than wool, but it is more expensive than other synthetic materials. Polyester high pile carpet is not as durable or as soft as high pile carpet made from other materials. But, it will hold colors extremely well and is generally made from recycled materials. If you want an affordable high pile carpet that will look bright and vibrant for many years, then polyester is the choice for you. You will find high pile carpet made form olefin under the name polypropylene as well. This material is the cheapest available. It is also strong, stain-resistant, and fairly soft. You will not get as many years out of olefin high pile carpet as you would another material like wool or nylon. But, its affordability makes it a great choice for a lot of people. High pile carpet tends to be more expensive than low and medium pile carpets. Part of the reason for this is because of the greater amount of material that is needed to make the carpet. But, the overall cost of your high pile carpet will depend on a few factors. The most essential aspect that determines the cost of high pile carpet is the material that the high pile carpet is made from and its quality. In terms of materials, wool high pile carpet is the most expensive, while olefin will be the cheapest. 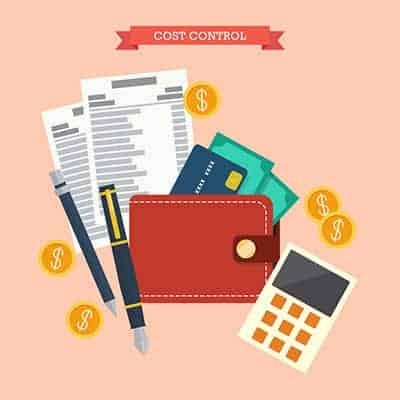 Exact costs are impossible to determine, but a few guidelines can be found. The above prices indicate the relative price ranges for all types of carpet. But, because high pile carpet tends to be more expensive, you can count on the prices falling the higher end of each range. Another thing to keep in mind when researching high pile carpet is other costs. The total cost of installing any carpet includes more than just the purchase of the carpet itself. You must also pay for the padding, installation, and any other extras like furniture moving and unusually shaped cuts. Padding typically runs anywhere from $0.24 to $1.10 per square foot. The installation fees and extras expenses depend on the professional carpet installers that you use. But, they tend to run from $0.50-$1 per square foot for installation and $0.50 and $2.00 per square foot for extras. High pile carpet comes with its own cleaning concerns. It is not as simple to keep clean as medium and low pile carpets, where as long as you vacuum regularly and carpet clean once and a while stay looking nice. High pile carpets tend to attract and trap dirt and stains. In order to keep them looking their best follow the tips described below. The best way to keep you high pile carpet clean is to clean it regularly. This means vacuuming multiple times a week and carpet cleaning on a regular basis. The higher traffic area the carpet is in, the more it will need to be clean. If a spill or stain occurs, clean the spot on the high pile carpet immediately. This will help prevent the spill from rooting into the carpet fibers. If you have a high pile rug, you may be able to take it outside and shake it out to clean it. This is obviously not possible for high pile carpets, or even rugs that are too large. If you use a high pile carpet vacuum, you will need to purchase one specially made for that type of carpet. This means buying a vacuum that either does not have a beater bar or has one that can be turned off. You should never use a beater bar on your high pile carpet because it could cause the fibers to pull and tear. Carpet clean regularly, at least once or twice a year. To carpet clean at home you will need another appliance, the carpet cleaner. You can also hire professionals—more about this option below. Keeping your high pile carpet clean is a big job. So, should you leave it to the professionals? The answer to this question will depend on how much work you want to put into cleaning and your budget. Your first consideration should be your budget. If regular carpet cleaning fits into it, then it could be a good option. But, keep in mind that professional carpet cleaning can get expensive. And, with high pile carpet, you will need to get your carpet cleaned a lot more than you would with other pile lengths. Another consideration should be the time you want to spend cleaning your high pile carpet. Cleaning this type of carpeting gets time consuming. So, it may make sense for you to set up a regular professional carpet cleaning instead of doing the arduous task yourself. High pile carpet is getting extremely popular. So, it should come as no surprise that there are a lot of carpet brands that have begun manufacturing it. Here are three of the top brands for high pile carpet. Both of these manufacturers have a lot of different carpet options. Thousands to be exact. Low, medium, and high pile carpets of any size, shape, or pattern can be found on their websites. So, if you are new to high pile carpet, we recommend first looking at either Mohawk Flooring or Shaw Flooring. When scrolling through their high pile options, you are guaranteed to find a carpet that will work for you. While not carpet manufactures themselves, both Lowes and Home Depot carry a wide variety of carpets in their stores. You are bond to find multiple different high pile carpet offerings. Plus, these stores give you the added advantage or seeing the carpet in-person and having highly knowledgeable staff to assist you in your search for the perfect high pile carpet.